The temporomandibular joint, also known as the TMJ, joins your jaw to your skull. Try feeling it; it lies just in front of your ear hole. There are many causes for tmj disorder, some of which are poor posture, growth disorder, bad habits, inflammation, or injury. The lower jaw bone, called the mandible, and the socket on the skull, called the temporal bone, make up the TMJ, or the temporomandibular joint. The articular disc, held in place by muscles and ligaments, lies between these two parts and causes the smooth opening and closing of the joint. How do I recognize dysfunctional signs and symptoms? You may experience jaw joint pain or uncomfortable facial muscles, experience a clicking, grinding, or locking in the jaw, or suffer headaches and dizziness. If you have trouble opening and closing the mouth or feel pain when chewing hard food or yawning, you very likely have temporomandibular joint (TMJ) trouble. 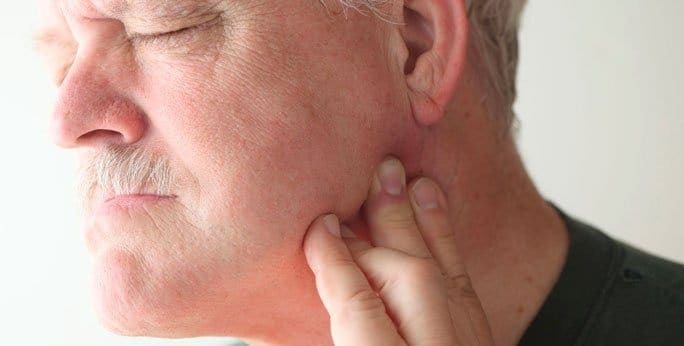 Usually there is a combination of causes of tmj disorder: overactive jaw muscles, trauma, arthritis, neck stiffness or dysfunction, or even a sensitivity to stress-related pain. What does physiotherapy aim to do? Physiotherapy reduces pain and stiffness while restoring function and teaching management strategies. It is very thorough in giving tmj relief. How can I treat my TMJ pain? Massage the muscles that lie near the joint, using heat or ice for ten minutes to minimize the pain, and go to your doctor for advice on pain relief. With guidance from your physiotherapist, exercise your jaw regularly, and ask your dentist if you grind your teeth at night. Then, cutting food smaller and not eating hard foods (apples, carrots, etc) always helps, too. Chewing gum, your nails, or pencils may also hurt, not to mention opening your mouth widely. Another tip is to rest your phone between your shoulder and your ear, avoiding the joint. What posture and neck movements are bad for my tmj disorder? Holding your neck stiffly, sitting or lying poorly, and holding your jaw in a back position can all hurt, as well as straining your neck. Simply be aware of how to correct your posture and how to keep your neck strong and mobile. Ask your physiotherapist for further information. What exercises can I do to obtain tmj relief? Ask your physiotherapist for further, more specific management techniques for tmj relief. The following are for starters. Try standing or sitting upright. Draw your chin in until you give yourself a double chin, keeping your head straight on the whole while. Hold this position for at most 5 seconds, repeating it 8-10 times. Lightly place your tongue on top of the mouth and permit the teeth to come apart, to relax the jaw muscles. On top of the mouth place your tongue lightly, placing one index finger on the chin and the other on the temporomandibular joint. Drop your jaw to partially open and then fully open. Push it up with your finger. To keep the movement straight, practice in front of a mirror 6-8 times and 4-6 times daily. Place the tongue lightly on top of the mouth as before with an index finger on both temporomandibular (TMJ) joints. Open your mouth partially then fully and then close it. Do this in front of a mirror in order to keep the movement straight. Repeat this exercise 6-8 times 4-6 times per day. Put the jaw into a neutral position, first partially open, then a knuckle width apart. Meanwhile, apply a gentle pressure with the thumb.